A book for pregnant women who would prefer to give birth with as little intervention as possible, so as to make things as good as possible for both themselves and their babies. 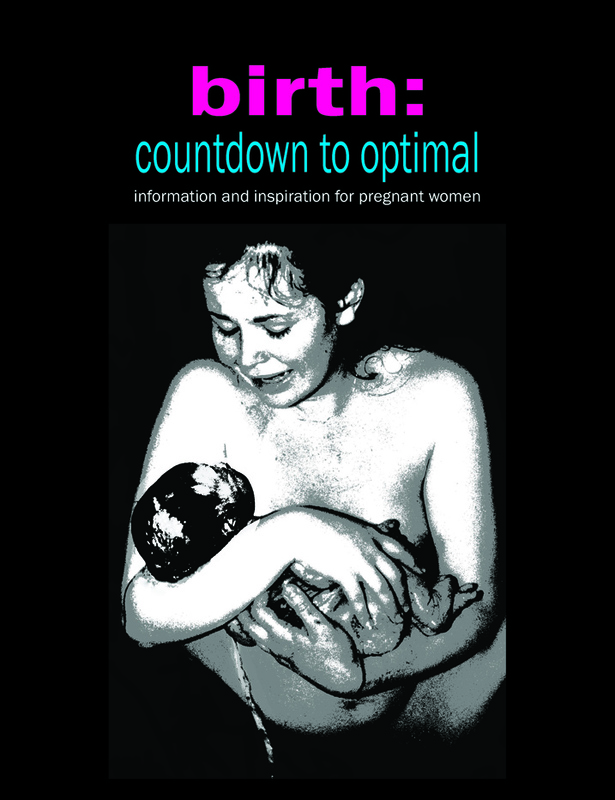 The 'countdown' takes the reader through 10 key topics, and all discussion of issues is supplemented with birth stories and comments from all kinds of women and professionals too. The tone is practical, reassuring and even inspirational because the many positive birth stories show how it's possible to have a really happy, healthy experience of birth. Contributions come from Janet Balaskas (the woman who realised we're better off not lying down when we give birth! ), Michel Odent (pioneer of water births) and Bill Bryson (the travel writer)... as well as from many other experts and 'ordinary' but extraordinary mothers, who made this book possible. The advice is based on current research evidence and in any cases where the evidence is controversial the research and relevant issues are discussed in an optional extra 'notes' section at the back of the book. There is a comprehensive Glossary of pregnancy terms and a user-friendly Index, so as to make it an optimally useful book in all sense of the word. In short, this is a handbook which could make a real difference to a pregnant woman's experience and also to that of her baby. A comment from an antenatal teacher: "What every woman will want to know, put simply and clearly." A comment from a midwife, perinatal researcher and adjunct professor (Betty-Anne Daviss): "Sylvie has created a prescription for healthy birth in a 10-step approach to keep parents focused on what is important in a potentially disastrous birth environment... She has... provided us with a book that encapsulates anything you wanted to know about keeping your birth normal and healthy..." And a comment from a mother: "Had a very late night Friday as I could not put your book down. Wow!"